Gloria Alvarez opened Gloria’s in 1972 in Culver City. Her decision was the result of teaching cake decorating classes at Veterans Memorial Park and having to secure most of the supplies for her students because there was no one place they could go to purchase what they needed. She would drive around to the various vendors or phone and order items for her students, during the day, hoping to have everything for them before the next class. 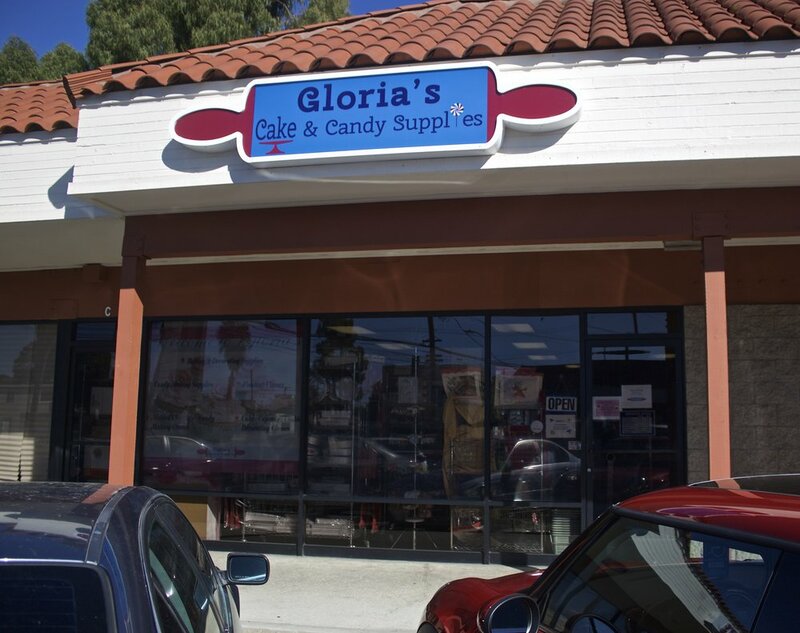 Eventually realizing that there had to be other bakers/decorators like herself, creating an untapped market…Gloria’s Cake & Candy Supplies was born. Through a couple of moves and through the illness and passing of Gloria in 2012, ownership of the shop has always remained in the family. As with many family owned businesses, the family has had good and difficult times… surviving the loss of other family members, difficult economic times, and competitors joining the now very popular baking and cake/cupcake decorating shows and market. Earlier this year the decision was made by the family to close the shop’s doors at the end of May when the lease expired. Upon finding out, I just could not let that happen. I was 12 years old when my beloved Tia and godmother opened the shop and I worked with her through high school during the summers. She started teaching me cake decorating when I was 10 years old... we designed and she made my beautiful 10 tier wedding cake those many years ago…..after a brief discussion with my husband, we purchased the shop! I am so honored and excited to be the new owner, to continue my aunt’s legacy, to share my love and joy of cake decorating with all of you! As a small, family owned, community business we need your continued support. I thank you all for your continued patronage, your thanks and words of encouragement, your hugs, your stories, your spreading the word. Please come in, if you haven’t already. We look forward to seeing you. Stay Calm & Bake & Decorate!